what’s the difference between a chooser and a user. 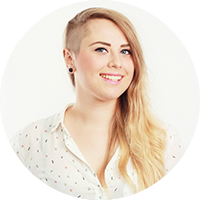 Hi all, welcome to Business Sidekick, this is Justyna, LiveChat marketer speaking. In today’s episode, I’d like to talk about something incredibly important from sales perspective and that’s how to create an ideal customer profile. My today’s guest is Emi Mosiewicz, LiveChat Sales Director who will share with you her experience in creating business development strategy. GetApp has recently released their study “Why your sales strategy is broken and how to fix it.” They interviewed 200 consumers and 250 sales professionals to find out whether they feel they have processes and tools in place to serve their consumers. I won’t give you all their findings as you can check it by yourself, but I want to draw your attention to two facts. First of them is that only 15% of sales people are using social media to contact potential customers. Another, quite shocking key finding is that less than a tenth (9.5%) of sales people think that consumers are looking for personalized customer service. Can you just imagine that in 2016, there are people who don’t understand that personal touch in customer service can make a difference for the customers? I mean, just take a look at Zappos, right. So, basically, most of salespeople don’t try to use personalization. And only few of them use the social media on which their customers are available! Such mistakes clearly prove that most of marketers don’t know what their potential customers like and where they are present. And since I don’t want you to make such mistakes, I’ve asked Emi to give you some information about how to create your ideal customer profile. Hello! Can you please introduce yourself? Hi, my name is Emilia. I’m a Sales Director at LiveChat where I manage the Outbound Sales Team. I have over 7 years of sales experience and 5 years as a team leader. For the last couple of years I have been helping small and medium size businesses scaling their sales processes, generating predictable revenue, creating business development strategy and building a sales team. Before joining LiveChat I used to work remotely and travel the world. I lived in Barcelona, London, Brazil and spend some time in the US. That really helped me understand how global business should work. Here comes the first question: what is an ideal customer profile? Ideal Customer is a person or a business that simply need your product. That will benefit from it. To go deeper, someone that will bring the biggest revenue to your business. But how customer profiling can increase sales? Many owners start their businesses from a passion for something. For instance, a travel freak opens his own travel agency or a bike lover kicks-off his own store with vintage bicycles. And it’s great! But in the middle of this, we forget about a major think: Would people want or need my product or service? Will I find a market for it? The good news is that online businesses can always find their niche. Still, it is very important to define our ideal customer in order to create a successful marketing strategy. And a successful marketing strategy simply increase sales. Tell me, how to create the ideal customer profile? If you just opened your business, you have to predict who is your Ideal Customer. The moment you do it, run a market research and confront it with your assumptions. If you you are in a stage that you have some clients using your product or service already - you can check which type of a client represents the biggest number in your database, which one brings the biggest income, which one is the effortless one. That client is most likely your ideal customer and a target for future marketing activities. But how to define one? To define your Ideal Customer you have to look at your buyers and check their demographics (so define what is their age, gender, maybe what is their income), psychographics (their personality type, preferences) and behavior (you can see what are their similar likes and dislikes, sports, hobbies). For B2B companies you should also note characteristics like number of employees, maybe check their revenue potential, location, maybe type of business, budget and try to find out who is the decision-maker there. One of the Ideal Customer for LiveChat are hosting providers. Even though they don’t represent the biggest number in our database, they generate the biggest revenue for the company. Those companies have more than 50 employees, they are mainly located in the US, Canada, South Africa, they have a dedicated Sales Team. The manager of the customer service team is usually the one that makes the buying decision. OK! How to find this info? If you have LiveChat you can use the reports that we are providing you with. You can see who is visiting your website, check the history of the chats, look which clients are the most satisfied ones. If you don’t have LiveChat, you just analyze your web traffic, simply see who buys your product. Another cool way is to check up on the competition. You can find it out by visiting their Social Media profiles, Facebook, Instagram, see on who is active there, who takes pictures with their product. You can also create an event and then ask participants what triggered them to come, see who are they. And also a very cool way is to create a Facebook Ad. It’s a good and cost effective way to check who clicked at your ad, who was interested in your product along with their demographic and psychographic info. You can even click on their profiles and see who are those people. But you are talking about companies that are already selling, what if someone just opened their business and don’t have any customers yet or just few of them? If you just opened your business, you basically have to predict who is your Ideal Customer. The moment you do it, you can run a market research and confront it with your assumptions. When I have my Ideal Customer profile ready, what’s next? Many new businesses after creating their Ideal Customer profile, put all their effort and money into marketing. It can be a really bad decision. If you don’t have any clients in your portfolio, before investing in a marketing, find out if the Ideal Customer profile that you've created is really your match. From my experience, the best way to do a market research is to run an outbound activities. By outbound activities I mean to reach-out to your potential clients via e-mail, phone call, a meeting. Any possible activity that will help you gather the feedback regarding your product. 1) Find a list of potential clients within your Ideal Customer Profile. You can do it even using Google by writing the keywords of the industry, location, type of a business and you export this list. 2) Find the decision makers in those companies. You can do it using LinkedIn or social media. Go to Linkedin and you’ll find a list of workers that work for a certain company and you can find their decisionmaker there. 3) Find their e-mail addresses using tools like SellHack or LeadIQ. 4) Then you can draft an e-mail campaign telling that you would love to verify if your product can help them or solve their problem and you can tell that you’d love to schedule a meeting to talk about it. There is a lot of tips online on how to write responsive e-malis. For that check blogs of companies like RightHello, Yesware or Hubspot, you can see our blog LiveChat. 5) Import the e-mails that you have found into a tool that will allow you sent them an automated message from your inbox. My favourite tool here are Woodpecker and Mail-Chimp. 6) Then, start the campaign, wait for positive response and as soon as you get it - you schedule a call with an interested prospect! It all sounds fun and games but what if I want to contact 100 companies, do I have to gather every email one by one? It sounds like a tough job. If you don’t want to waste time or you think that it’s a very long process, you can simply buy a ready fixed database, but I would recommend you to do it by yourself, because this is the way you will actually find and touch these prospects. If you find and create a list of 100 companies you’d like to get in touch with, you go to Linkedin and one by one, and find the decision makers and the rest is quite automated, because you can use tools to export the emails and this is quite automated process, especially if you have MailChimp. So it’s not as scary as you might think. Alright, I scheduled a call or a meeting with them. What’s next? The moment you have them on a call, you have to simply verify if they need your product, if they need what you sell. You can ask this by many different questions, if you have SaaS, you can share your screen, show them your product, verify if the product will solve their problem. If you have a physical product, you can tell about it, you can ask them questions, and then send it, and then call them again and ask for the feedback. So there are many different ways and you can ask many different questions to find out. And a big percentage of this clients tell you: “Yeah, I could actually benefit from it” or “I’m interested in buying it, using your service, cooperating with your company”. That means your Ideal Customer Profile works. But if you will gather a lot of negative feedback, or many prospects will tell you they would be interested, but if certain features or aspects in your offer would look differently - that can mean that your Ideal Customer Profile was wrong, you have predicted it in a wrong way or you need to do some improvements in your product or service. The best way of creating such profile is checking which type of customers represents the biggest number in your CRM and which bring you the biggest income. That client is most likely your ideal customer and a target for future marketing activities. The most important part is to find out how does this customer get value from using your product or service and, of course, how does they provide value to your company. Once you understand it, try to dig deeper. If you have a B2C company, you should learn the demographic of your customers, personality type and their behavior. B2B companies from other hand should also find characteristics of the ideal business to work with - like a number of employees, their revenue, geographic scope, type of business and budget. But if there’s a case that you don’t have any customers yet, try to create a fictional customer, if your guess won’t be right, you simply will and you should improve it later. Last but not least, remember that when you describe your customer, consider whom you'll be marketing the product to and who will buy it. In other words, you have to distinguish a chooser and a user. For example, if you produce toys for children, you might be tempted to market your products to children. But in fact, a person that will buy this, will not be a child, it will be its parent. So while your product’s user will be a child, it’s chooser and your ideal customer profile, will be an adult. So remember that you need to carefully figure out who will buy your products because sometimes a person that will use it, won’t be a person who will buy it. That’s all folks! Thank you for listening! If you’ve learned something valuable from this podcast, don’t forget to share it with your audience. Business Sidekick is also available on iTunes, Stitcher and SoundCloud so you can choose a platform that fits you the best. If you’d like to be my guest, you can contact me via email podcast@livechatinc.com. And stay tuned as in the next episode my guest will be Adam Toporek, the author, speaker and customer service influencer.